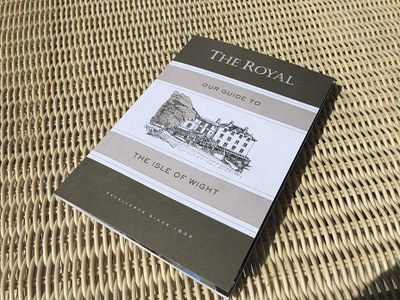 The Royal Hotel commissioned me to research and write this 75-page guidebook to the Isle of Wight, as a special gift for hotel guests. Content encompassed three 800-word articles about the history of the Isle of Wight, Ventnor, and the hotel, as well as thirty 200-word reviews about attractions and outings visitors could enjoy. Following the success of the guidebook, I wrote the hotel's latest brochure, and continue to write regular copy for them as needed.